On Tuesday’s St. Louis on the Air, contributor Steve Potter was joined by mezzo soprano Melissa Parks who sings the role of Katisha in “The Mikado.” Also joining the program were Eric Gibson, who directs the production, and Scott Schoonover, Union Avenue Opera’s artistic director and conductor, to discuss the production and preview the two other productions in the 2016 season. On the way home Friday night from the Union Avenue Opera on North Union Boulevard, I landed in the middle of a beehive at the intersection of Euclid and Maryland avenues. The place is always busy, but on weekend evenings it's especially alive. However, this Friday the corner drew many more police officers than usual, including the chief, Sam Dotson. Alderman Lyda Krewson was there; so were many worried longtime residents of the neighborhood. There were tourists from St. Louis County and beyond -- parents bringing their kids to college. Lots of folks were hanging out in the bars and outdoor cafes drinking up a storm. Gridlock-causing motorists, either just cruisin’ or looking for parking places or glimpses of civil disobedience, were in abundance. Musicologists have had a field day divvying up the operas of the towering Italian genius Giuseppe Verdi. 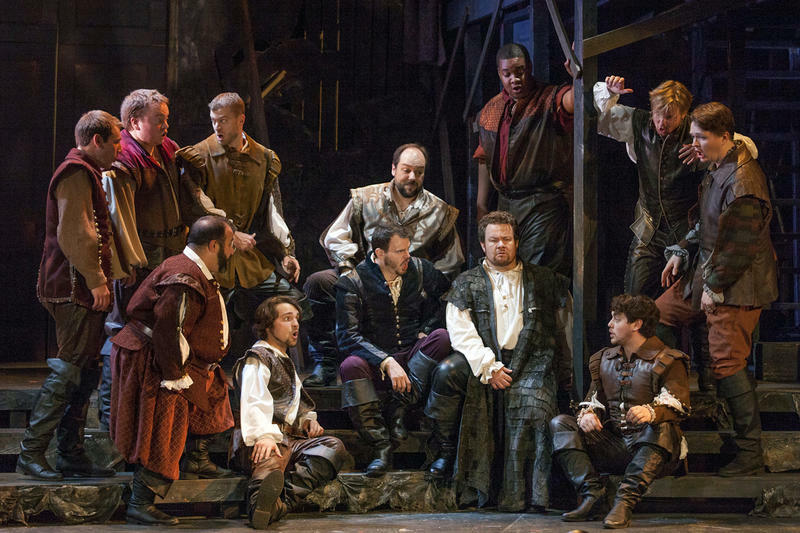 “Rigoletto” -- performed this weekend with artistic muscle and dramatic agility by Union Avenue Opera – is pigeonholed in his middle period, along with Il trovatore and La traviata. 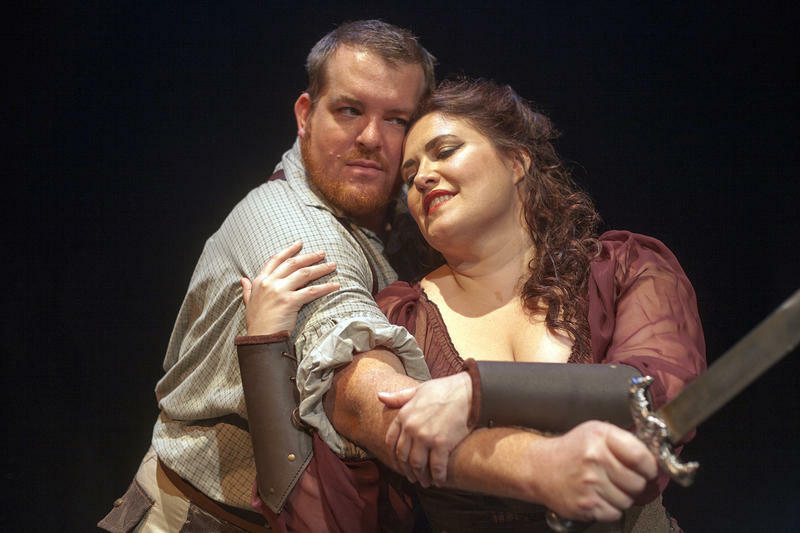 When Union Avenue Opera opens its 2014 season on July 11 with Verdi’s La Traviata, it will be with a company that is vastly different than the one that mounted its first production 20 years ago. UAO founding artistic director and conductor Scott Schoonover recalled that he had just finished his degree, wanted a chance to conduct and knew a number of singers who needed work. He had just moved to St. Louis to take the position as music director of Union Avenue Christian Church and the church encouraged him to mount an opera there. When one thinks of Wagner’s Ring cycle, what comes to mind is a huge cast, orchestra and set which can only be performed in the world’s largest opera houses. 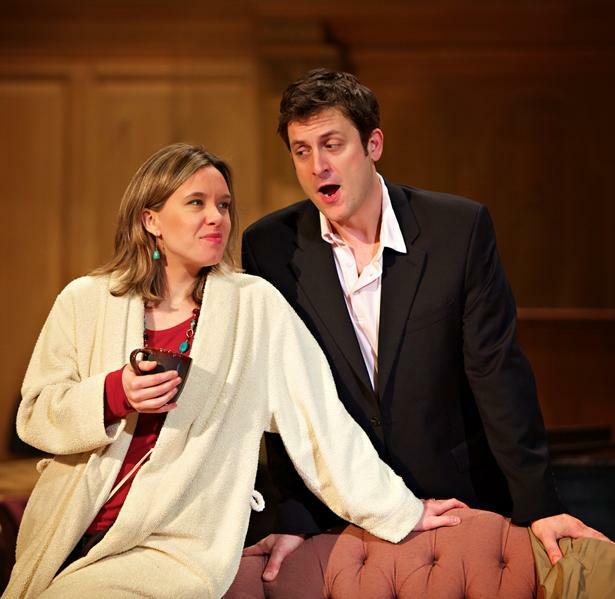 But Union Avenue Opera has brought the Ring to St. Louis thanks to the reduction and adaptation by composer Jonathan Dove and stage director Graham Vick. The company will mount the second opera, Die Walkure, on August 16, 17, 23 and 24. This article first appeared in the St. Louis Beacon: Many of Allyson Ditchey’s St. Louis friends passionately love Leonard Bernstein’s “West Side Story” but tell her they don’t like opera. “I tell friends that they should come to ‘Trouble in Tahiti’,” says Ditchey, the production’s stage manager. “They will love this music, very Bernstein. It’s a perfect introduction to opera. It’s in English with supertitles. And the story is very smart, as relevant today as it was when he wrote it” in 1951. 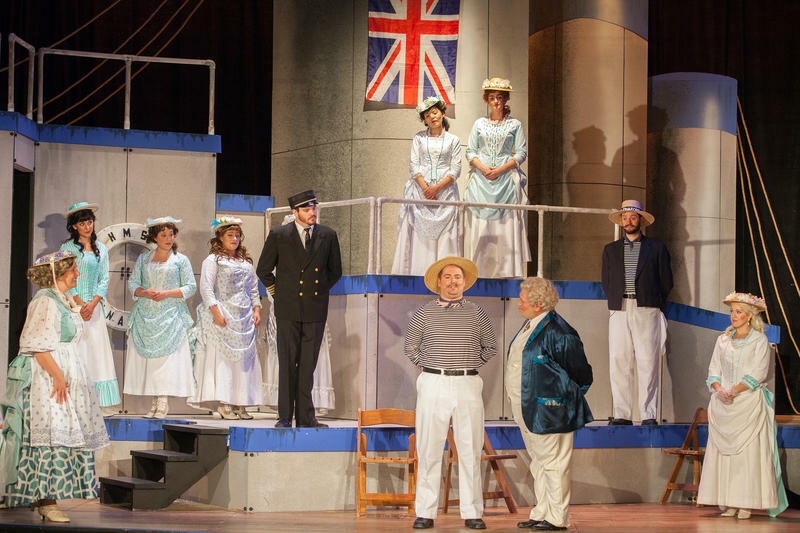 “Trouble in Tahiti” opens Union Avenue Opera’s 19th season at 8 p.m. April 19. This article first appeared in the St. Louis Beacon, Jan. 17, 2012 - It's opera time in St. Louis, again. Winter is opera season in much of the Western world, but until 2008, no St. Louis company regularly offered opera between August and mid-May. What makes something 'art' and how does that relate to class? This article first appeared in St. Louis Beacon, Aug. 29, 2011 - Is a velvet Elvis painting, art? What about a guitarist playing on the street for tips? Polling local performance and visual artists, the Beacon found a pretty good consensus: Art doesn't have to cost money or be vetted by an institution. 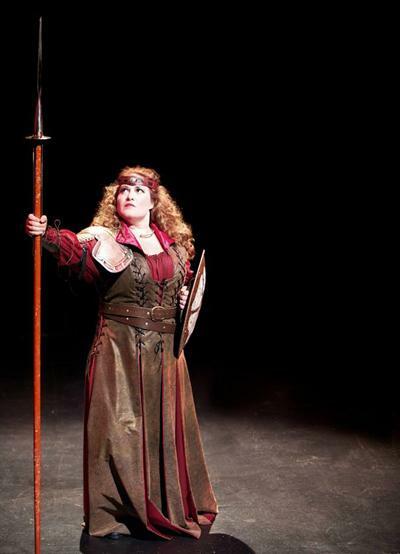 This article first appeared in the St. Louis Beacon, Aug. 15, 2011 - Great drama - whether opera, stage or movie - can powerfully focus its audience and encourage them to chew on ideas long after the final bows. Great drama may change hearts and minds. Even so, it is pretty rare that any drama is so compelling that, after more than two full weeks of rehearsals, actors and staff still react with tears running down their cheeks. This article first appeared in the St. Louis Beacon, July 23, 2011 - Some St. Louisans plan to lift their spirits above the unrelenting dog days with an evening of ravishingly beautiful music in a tale of good people triumphing over self-centered meanies. 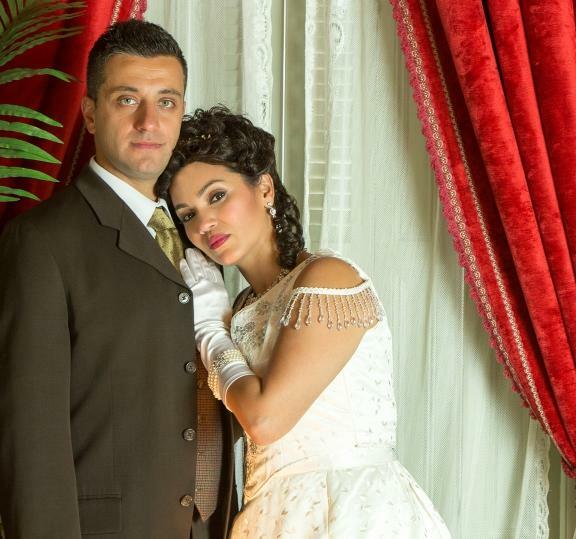 Gioacchino Rossini's "La Cenerentola" or "Goodness Triumphant" opens Friday July 29. The opera includes some of Rossini's finest music and was written when he was 25, just after his masterpiece "The Barber of Seville." 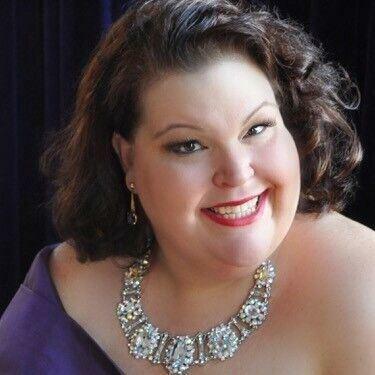 This article first appeared in the St. Louis Beacon: August 26, 2008 - One recent summer in Philadelphia, soprano Gina Galati and her musical friends bemoaned the lack of opera in St. Louis during winter months. Instead of just complaining, Galati, who had never directed before, assembled a group of singers from scratch in August 2007. She excited donors, who gave money and their homes for singers' residence. They would perform Rigoletto in February 2008.